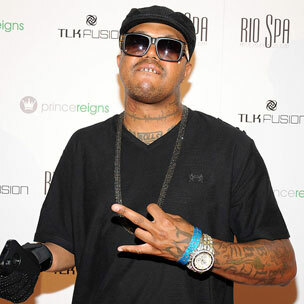 DJ Paul Reacts To The Contemporary Influence Of Three 6 Mafia's "Mystic Stylez"
Earlier this month, DJ Paul confirmed his plans to nearly reunite the full lineup of Three 6 Mafia. Without Juicy J’s involvement, Da Mafia 6ix, as they will be known, features Crunchy Black, Koopsta Knicca, Lord Infamous, Gangsta Boo and La’Chat—along with Paul on the boards. After cementing the news with HipHopDX, Paul spoke about the significance of Three 6, especially their earlier and independent releases on the contemporary sound in Hip Hop prodution. Last October, DJ Paul released his third studio solo LP, Person Of Interest. The Scale-A-Ton Entertainment release featured Gucci Mane, Lil Wyte and DJ Kay Slay.